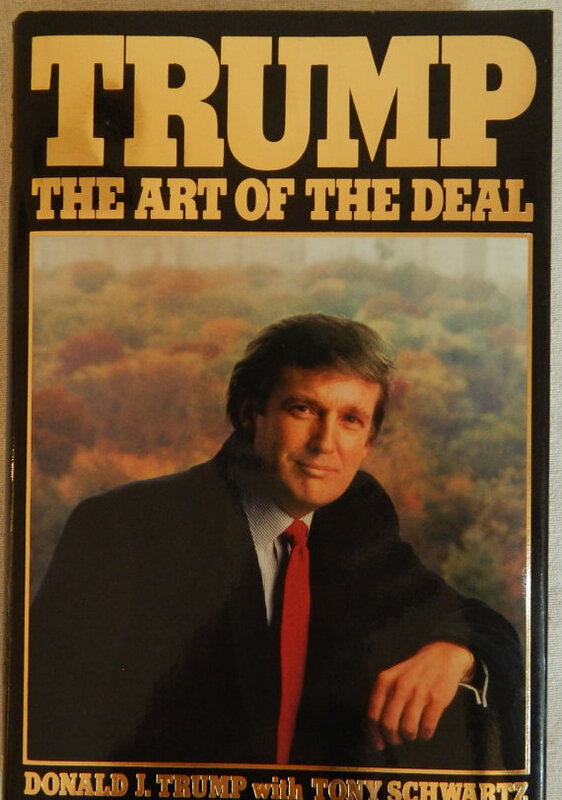 President Trump if he succeeds in nothing else, will have re-introduced Washington D.C. to the art of the deal. 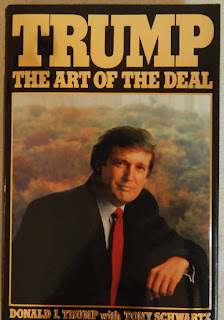 After being betrayed and disappointed with Republican leadership in congress time and again, finally did what he'd been threatening the GOP leadership with - he made a deal with the Democrats. President Donald Trump stunned Republicans on Wednesday when he overrode pleas from GOP congressional leaders and sided with Democrats on a proposal to attach emergency aid for Hurricane Harvey victims to measures to keep the government funded and its borrowing limit suspended until mid-December. ...For months, Mr. Trump had suggested that he might work with Democrats if Republicans couldn’t advance his legislative priorities, but he always pulled back at the last minute. The Republican president’s move Wednesday raised questions about whether he will now turn to Democrats to reach deals on tax reform and immigration. Uh, no. What's far more likely is that president Trump was simply putting down a marker for Republicans in the legislative branch. He's simply indicated to them that he's serious about getting his agenda done, and if they are not willing to play ball, he'll bypass them. Yes, it's going to be harder to find agreeable positions with Democrats, but they are currently in the minority and are forced to make concessions if they want anything at all done on their terms. For president Trump, there's another potential benefit in dealing with Democrats, though it's not likely to materialize. If the Democrats find they can work with the president it may halt the Russia, Russia, Russia hysteria - at least temporarily. It's doubtful they'd abandon the witch hunt entirely, especially if they improve their congressional numbers in the 2018 midterm elections, as unlikely as a Democrat 'win' in the midterms is. For the GOP this is a wake up call. What they thought was unthinkable, just happened. They have to realize that the president is not a Republican lapdog. Why it took this to get them to take notice is baffling. He won the election by being the exact opposite of that. This is more about the GOP than it is the president or the Democrats. We're barely a year away from the midterms and what have the GOP done, other than stall the president and abdicate their leadership position is, well, nothing. They have put not only the president's re-election chances in jeopardy, they have put their own re-election chances in even worse jeopardy as well. They don't seem to realize that. The inevitable howls of betrayal by GOP members of congress are going to be perceived as whining. Their indignation is at a self-inflicted wound. They control the executive and both legislative branches of government and have for the better part of a year. What have they done? No Obamacare repeal (something to a member they howled about for years), no tax cuts and no tax reform. President Trump has no movement on his border wall. The president has not returned to his liberal past. He has put himself in a better position to negotiate with the intransigent Republican leadership. This should jar the obstinance loose, and if it doesn't maybe after 2018 he'll have a new crew in congress with whom to deal.